i can't believe my boy is about to turn 5! we wanted to tone it down a bit this year and start doing 'big kid' parties! he decided that he wanted to have a pool party [although still tossed around 'themes'] and wanted to invite a handful of his friends. i let him decide who to invite - which was still a fairly large group! - and let him call [most of] the shots! 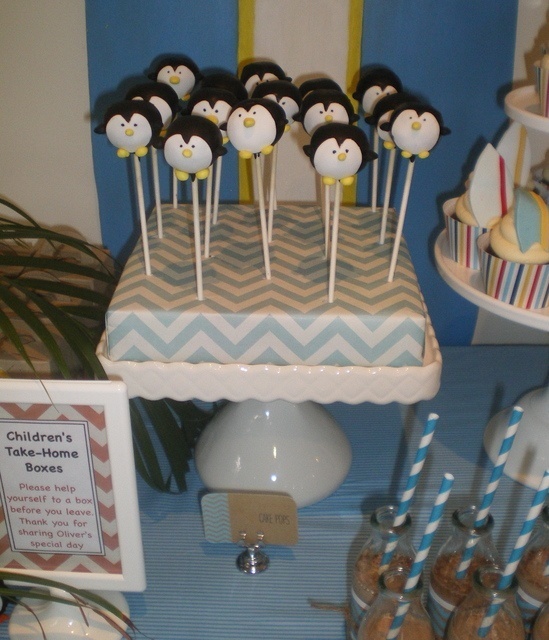 we browsed Pinterest for some ideas, which proved to be hard because he wanted a pool party, a star wars party, a skylander party, a penguin party and most recently [after indulging in a Zebra Cake] told me that he wanted a zebra party! he's obviously just like his mama - all over the place and super indecisive! 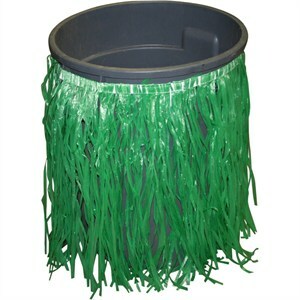 we won't be able to use these at our community pool but we can use them as favors! 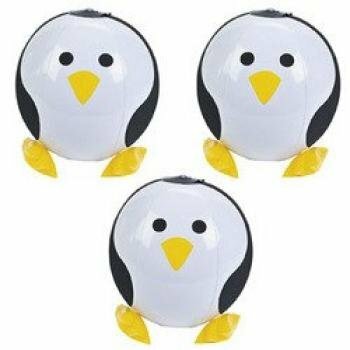 these cute penguin banana snacks. they can be frozen that way they won't turn to mush in the heat! 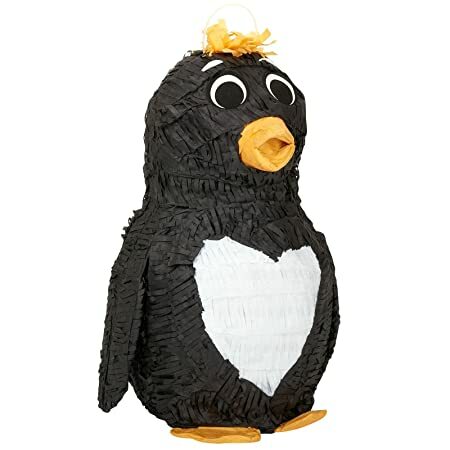 no party is complete without a piñata! we're very lucky to have a grandma that ROCKS at cake pops! can't wait to see her penguins! 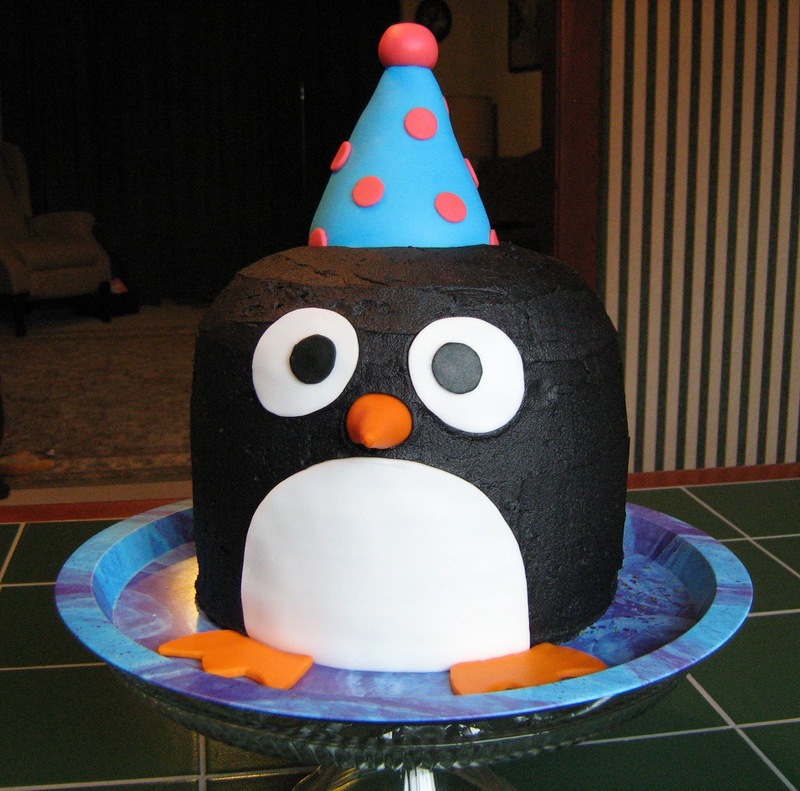 since i'm not an expert cake maker - i'm thinking something *maybe* like this. i make no promises though. in addition to the penguin fun - i thought i'd do some simple 'pool/beach' like decorations as well! 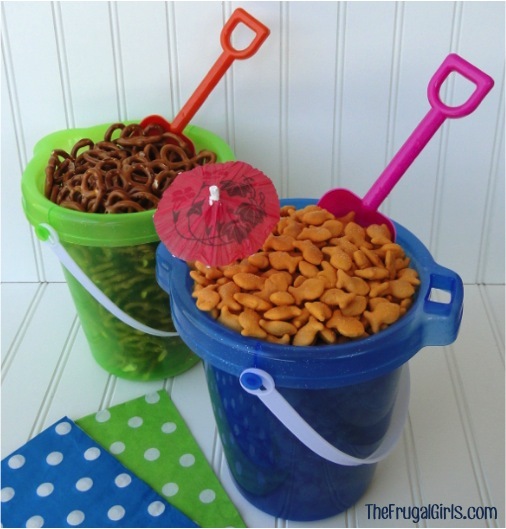 The Frugal Girls has a ton of cute pool party ideas! this is a definite DO! 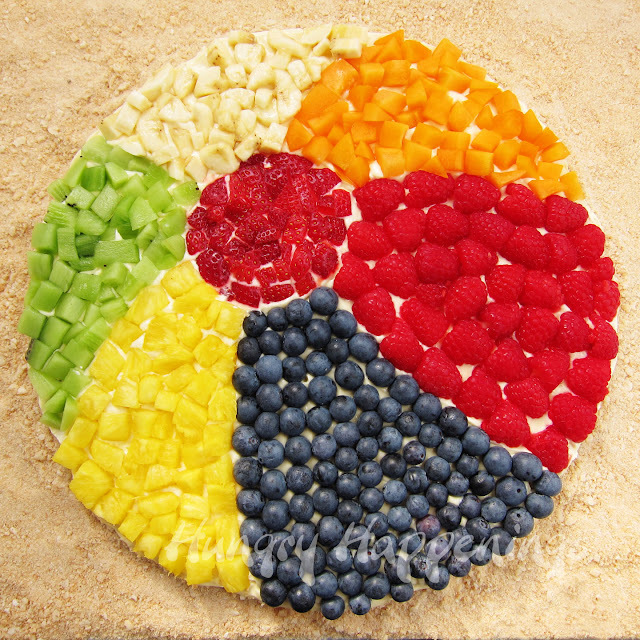 and of course this super cute fruit pizza from Hungry Happenings!